NBSE HSLC/HSSLC Admit Card 2019: Nagaland Board HSLC/HSSLC admit card 2019 is expected to be released on NBSE official website, nbsenagaland.com. Students presently undergoing class 10th and class 12th in Nagaland board can get ready for the academic examinations. The theory and practical examinations will be held as per the scheduled dates announced by the NBSE. Students can carefully go through the Nagaland board Routine 2019 before proceeding to the examinations. Students must download Nagaland HSLC admit card 2019 & Nagaland HSSLC admit Card 2019 to attend the examinations. The examination invigilators check the admit cards of the students before allowing to the exams. Students can download Nagaland Class X, Class XII admit cards for all streams (science, maths, and arts). Soon the NBSE will make an announcement regarding the admit card/hall ticket release date. Candidates of class 10th and class 12th can stay checking the NBSE website on a frequent basis for the latest updates. 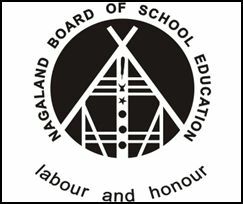 Nagaland Board of School Education is the state level education board formed in the year of 1973; the NBSE board was headquartered at Kohima, Nagaland. It provides affiliation to a large number of schools and colleges in the state of Nagaland. The NBSE monitors the secondary and higher secondary education in the Nagaland state. The board is striving hard for the development of the education rate in the state. Every year the NBSE organizes Class 10th/Higher Secondary School certificate, class 12th/Higher Secondary School Leaving Certificate examinations in February/March months. Students pursuing the corresponding classes must undergo the examinations as per the scheduled dates. And the Nagaland BSE will announce the results in the months of April/May. Students who are studying HSLC and HSSLC courses in Nagaland Board can check the updates regarding the exam dates, results etc from the NBSE official website, nbsenagaland.com. Go through the admit cards clearly after downloading. If any printing mistakes appear in name, sir name, date of birth or any other field, students can complain to the corresponding schools in which they are studying. The hall ticket/admit card must be taken to the examination without fail. If the candidate fails to carry the admit card, he/she will not be allowed to attend the test. Hence to overcome this trouble all the students are informed to carry the admit cards as a must. Students can follow the steps given below to download the hall ticket. Visit the NBSE website, nbsenagaland.com. On the homepage, ‘Nagaland Class 10th/Class 12th Hall ticket 2019 download’ link will be activated.